Michael Bakan is Professor of Ethnomusicology, Head of the World Music Ensembles program, and Affiliated Faculty in Asian Studies at in the College of Music at Florida State University, where he directs the Balinese gamelan ensemble, the Omnimusica intercultural ensemble, and the Artism Ensemble. 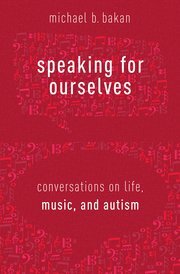 Bakan’s research on the ethnomusicology of autism, funded by the National Endowment for the Arts (2011-2013), has since 2014 yielded refereed articles in the journals Ethnomusicology, College Music Symposium, Voices: A World Forum for Music Therapy, MUSICultures, and the Journal of the American Musicological Society (JAMS), plus chapters in the Oxford Handbooks of Applied Ethnomusicology (2015) and Music and Disability Studies (2016) and numerous additional works currently in press or forthcoming. His many other publications encompass topics ranging from Balinese gamelan, early jazz history, and electronic music technology to world percussion, multicultural music education, and film music, engaging theoretical issues of epistemology, advocacy, reflexivity, neurodiversity, gender, improvisation, and interculturality. He edits the Routledge Focus on World Music Series, is Co-Chair of the Applied Ethnomusicology Section of the Society for Ethnomusicology (SEM), and formerly served as president of the Society’s Southeast/Caribbean Chapter. 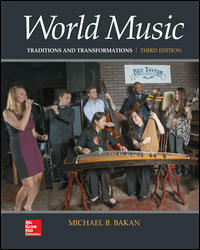 Bakan’s textbook, World Music: Traditions and Transformations (2nd ed., McGraw-Hill 2012), has been adopted at more than 200 colleges and universities internationally. It was published in a fully online Connect/SmartBook edition by McGraw-Hill in 2015, is in progress for the forthcoming third edition (2018), and is also under contract for a forthcoming Chinese translation brief edition. 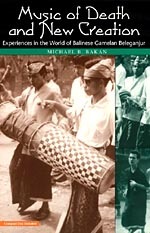 His book Music of Death and New Creation: Experiences in the World of Balinese Gamelan Beleganjur (Chicago, 1999) was a Choice Outstanding Academic Title in 2000 and was recognized as one of the two “most significant publications on Balinese music in almost half a century” in a 2002 review published in The Times (London). As a percussionist, Bakan has performed and/or recorded with George Clinton and Parliament/Funkadelic, John Cage, Tito Puente, Rudolf Serkin and the Music at Marlboro festival orchestra, the Toronto Symphony, the Los Angeles Philharmonic Green Umbrella Players, and several championship gamelan beleganjur groups in Bali, Indonesia. His compositions for Balinese gamelan, modern dance, and jazz, intercultural, and new music ensembles have received over a hundred performances, and his 2014 CD with Omnimusica, Ashrei, was a GRAMMY Award ballot selection for best world music album. Bakan maintains an active schedule as a lecturer and clinician, having spoken at dozens of institutions including Harvard, Yale, Columbia, and Indiana universities; the universities of Chicago, Maryland, and Colorado; and the Berklee College of Music. For Bakan CURRICULUM VITAE August 2016, take this link.